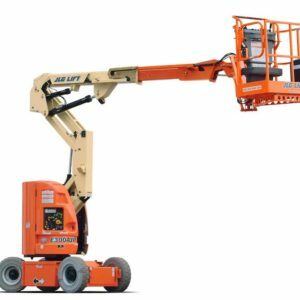 Articulating boom lifts (knuckle booms) are used for reaching up and over machinery, equipment, and other obstacles mounted on floors, and for reaching other elevated positions not easily approached by a straight (telescopic) boom lift. 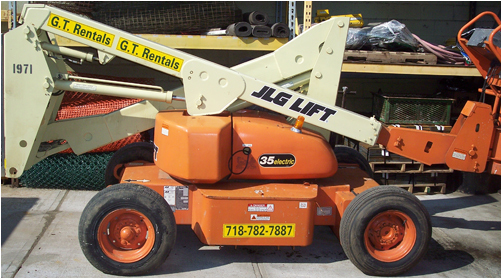 The machine’s turntable may be rotated 360 degrees in either direction. 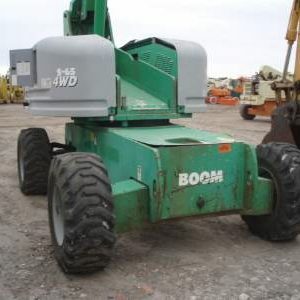 The boom can be raised or lowered from vertical to below horizontal, and extended (telescoped) while the work platform remains horizontal and stable. 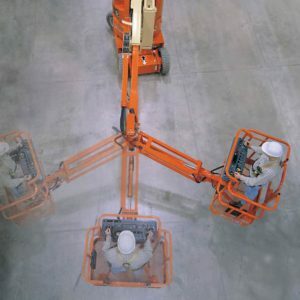 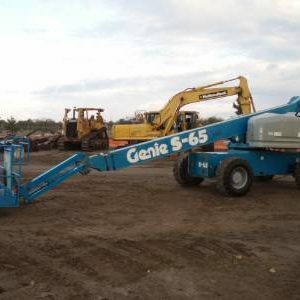 It can be maneuvered forward or backward and steered in any direction by the operator from the work platform, even while the basket is elevated. 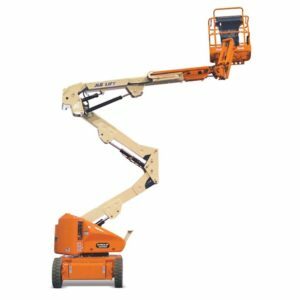 All articulating models are drivable at full elevation and have chassis widths that provide access to narrow industrial aisleways and congested work areas. 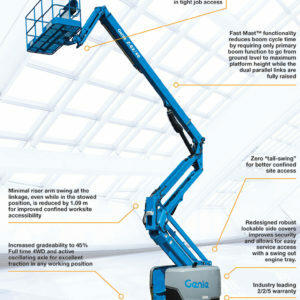 Easy to use platform controls for reduced operator training time.